After centuries of neglect, the Church is rediscovering the realm of dreams and visions as a legitimate avenue for receiving divine revelation. 'Exploring Your Dreams and Visions' provides exciting and revealing truths about the Master Dream Weaver and His desire to communicate with you. Providing you the opportunity to record your dreams and discover the true meaning. - Receive and understand your dreams. - Interpret and apply your dream revelations. 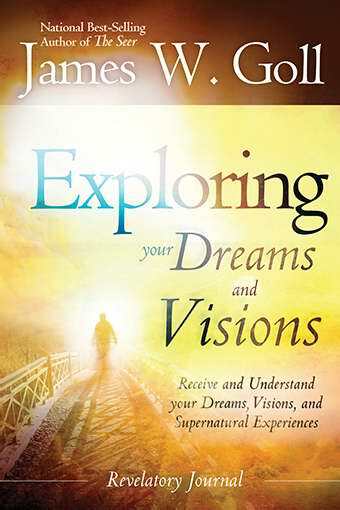 Exploring Your Dreams And Visions by James W Goll was published by Destiny Image in October 2012 and is our 25680th best seller. The ISBN for Exploring Your Dreams And Visions is 9780768403152. Be the first to review Exploring Your Dreams And Visions! Got a question? No problem! Just click here to ask us about Exploring Your Dreams And Visions.